Daniel Meade was clearly thrilled to be supporting Robbie Fulks for this short UK tour, and who can blame him? Meade was on good form, a set of his own country-blues songs plus some choice covers (Big Bill Broonzy!) and as usual, Meade’s secret weapon is long-time sidekick Lloyd Reid, who is genuinely one of the best roots guitarists around, picking out Sun Records-standard licks in a totally nonchalant fashion. 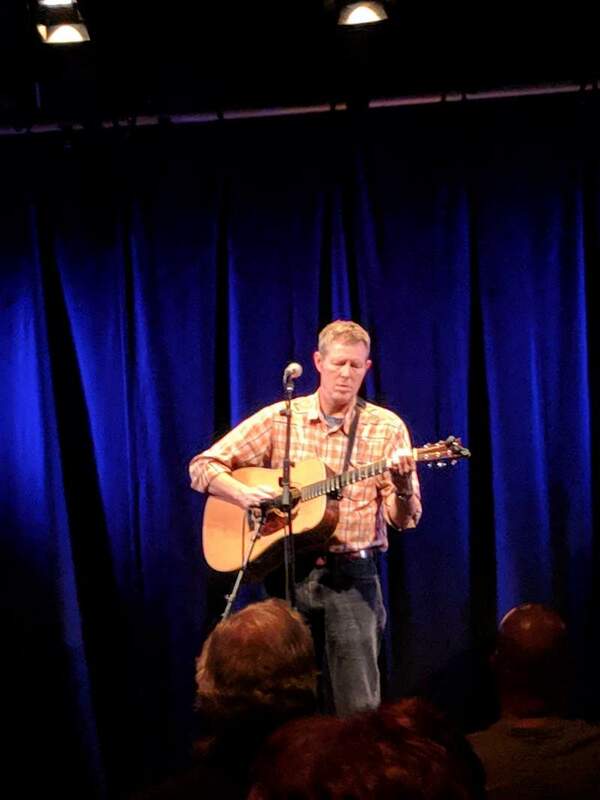 Despite Robbie Fulks being one of my very favourite songwriters, I’d somehow never managed to catch him live before and he was better than I’d hoped. A towering but diffident southern gentleman, he has a presence and a comedic timing and a way with an anecdote that means people would turn out just to hear him tell tales – about his ancient banjo playing aunt, or teenagers getting drunk, or teaching Tina Fey to play country. And we get all of those, but we also get a set of golden country-folk songs from across his thirty-year career. Country to his bones, he’s smart enough to play around with all the lyrical tropes and clichés, but always respectfully and with love underpinning the wryer moments. We got Let’s Kill Saturday Night, we got She Took A Lot Of Pills & Died, we got I Just Lived A Country Song; we got a masterclass in songwriting and performing and how to be a genuinely great artist.